Deity : Nau Kuli Naag, Nav Durga, Nine powers. This Rudraksha is related to Nau Kuli Naag (Nine Cobra). The person who wears this Rudraksha after proper Sidhhi ( method of purification & charging with Mantra) get all the fronts open for him in the passage of success. This Rudraksha belongs to nine powers and also nine Naag( snake, Cobra) resides in it. It cures snake bite, for this cure the 9 Mukhi Rudraksha is dipped in the water filled in the copper vessel. The water than is to given to the such patient is surely saved from death. This Rudraksha removes the Kaal Sarp Yoga effect. 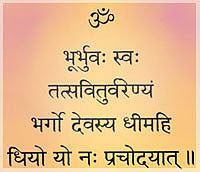 It is said by Lord Datta Treya Maharaj. The person who face too many obstacles or feel unlucky should wear 9 Mukhi Rudraksha. It opens the Luck factor. This Rudraksha removes every sin and create new Devi Powers in the body of the wearer of this Rudraksha. No evil can never have any effect on the wearer of this Rudraksha. 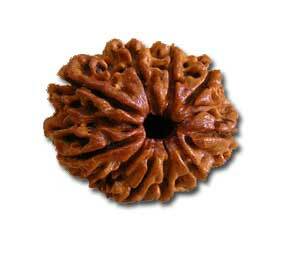 This Rudraksha is considered to be very auspicious for every work. 9 Mukhi Rudraksha controls the nine senses of the body. This Rudraksha removes all sins and provides all comforts and happiness. Nine faced Rudraksha is the form of the Goddess Durga (Shakti). It contains the power of Nine Deities. By wearing nine faced Rudraksha the man gets blessings from Durga Shakti, the Supreme Mother. By this the wearer gets endurance, bravery, courage, and his name and fame spreads all round. His devotion in god increases. His will power is strengthened. Nine faced Rudraksha give the wearer both devotion and salvation. Practicing rituals to worship the Shree Yantra and along with it wearing of the nine faced Rudraksha give both the worldly pleasures and the salvation.